This PDF 1.6 document has been generated by / Acrobat Distiller 4.0.5 for Macintosh, and has been sent on pdf-archive.com on 25/04/2013 at 08:26, from IP address 210.184.x.x. The current document download page has been viewed 680 times. File size: 3.5 MB (126 pages). auto flash (p. 38), and Manual flash (p. 42). automatically set to match a 14mm or 17mm lens. balanced lighting for the main subject and the background (pp. 101, 104). that are unnecessary to set each time (p. 67). than in the conventional TTL mode (p. 37). multiple-flash shooting techniques (p. 76). change the aperture or composition, or zoom the lens in and out (p. 61). temperature when taking photographs with the SB-800. shallow depth of field to blur the background (p. 60). focus area with cameras supporting this function (p. 62). are referred to as “Default” settings in this manual. v: Denotes important points to prevent malfunction or shooting failure. t: Useful points that should be remembered for better usage of the SB-800. Nikon brand cameras/accessories including lenses. • The Nikon N2020 and N2000 are sold exclusively in the U.S.A and Canada. o: Balanced Fill-Flash. This always appears together with D (p. 37). Wireless multiple flash in the i-TTL mode is possible. TTL mode is not possible. While performing Balanced Fill-Flash, no o icon appears. Repeating flash is not possible with the F3-Series (using the AS-17). and your camera’s instruction manual. when the light is dim. multiple flash operation using cords. Press to test fire the flash (p. 20). Press to set the flash mode (p. 30). the e and f buttons. Press to change the zoom-head position (p. 26). the underexposure value (p. 33). back of the built-in bounce card. creating stroboscopic multipleexposure effects (p. 48). illuminator comes on (p. 62). the lens focal length (p. 26). only be adjusted manually (p. 26). auto flash mode (p. 33). still comes on (p. 62). to the camera (p. 72). to the beeping sound (p. 89). Wireless Lighting mode (p. 78). “Beeping” sound is off (p. 89). after 8 seconds unless an adjustment is made. AI-S Nikkor, AI Nikkor, Series E, etc. CPU lenses have CPU contacts. the lens aperture ring or on the camera body. flash photography in the TTL auto flash mode. following Steps 1–8 on the left-hand pages. Battery Pack SD-800) with fresh ones of the same brand. • High-power manganese batteries are not recommended for use with the SB-800. • Always carry extra batteries when traveling. • For details on batteries, refer to “Notes on batteries” on page 115.
cause them to explode, leak corrosive liquids, or catch on fire. • Do not mix battery brands or types, or use old with new batteries. Otherwise the batteries may explode, leak corrosive liquids, or catch on fire. • Do not recharge non-rechargeable batteries in a battery charger. Otherwise the batteries may leak corrosive liquids or generate heat. to shorten the recycling time. See page 64 for more details. • Minimum recycling time is for operation using fresh batteries. position adjustment, or LCD panel illumination. • The above data may vary due to variations in battery performance. batteries, if the ready-light takes a long time to come on. replace the SB-800’s batteries even if an external battery source is used. and provides faster recycling times (p. 113). Press the b button for approx. 0.3 sec. • The SB-800 fires at specified output in the Manual flash mode or at approx. 1/16 output in the TTL auto flash mode. output controlled by the ISO sensitivity, aperture, and zoom-head position. SB-800 off and the indications disappear. battery power (it goes into the standby mode). • In the standby mode, the R indicator appears on the LCD panel. camera body that is compatible with TTL auto flash) (p. 8). as a remote flash unit (p. 73). Adjust this duration using Custom settings (p. 67). lock lever to the right. head to the horizontal/front position. v Turn the mounting foot lock lever securely until it stops. stops. To unlock, turn the lever counterclockwise until it stops. the flash head is tilted down –7°. horizontal/front or down –7° position. cameras are generally referred to as ISO sensitivity. on the LCD panel when the camera and SB-800 are turned ON. is ISO 25 to 1000.
details, see your camera instruction manual. ISO sensitivity. Therefore, be sure to set the ISO sensitivity correctly. the shooting distance indication on the Speedlight’s LCD panel. sensitivity is automatically transferred from the camera to the Speedlight. on. After that, turn on the camera body. display the Custom settings mode. to select “ISO”, then press the g button. CPU lens is between 36mm and 39mm, the zoom-head position is adjusted to 35mm. button several times until it disappears. The power zoom function can be canceled in the Custom settings mode (p. 67). lens is zoomed, a lens is changed, or the b button is pressed. the c or d button to adjust the zoom-head position to 14mm or 17mm. “Power zoom function using the built-in wide-flash adapter/Nikon Diffusion Dome”. 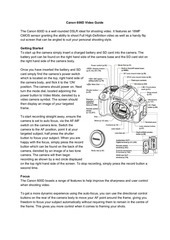 SB-800” (p. 108) and your camera’s instruction manual. sync shutter speed, except in the Auto FP High-Speed sync mode (p. 60). your subject. Refer to “Flash shooting distance range in the TTL auto flash mode” (p. 31). High-Speed sync mode) (p. 60). distance range in the TTL auto flash modes” (p. 31). the background, the depth of field, and the flash shooting distance range. range in the TTL auto flash mode” (p. 31). • Display Do on the LCD panel. Every time you press the a button, the available flash mode icon changes. Refer to “Icons on the LCD panel” (p. 13). will be skipped and do not appear, when pressing the a button. the aperture for ISO 800. Confirm the camera’s sync mode. v Set the camera’s flash sync mode to Front-curtain sync. camera’s flash sync mode is set to Front-curtain sync. with slow-sync flash mode” (p. 58), or “Rear-curtain sync” (p. 59). • Refer to the camera’s instruction manual for details on the flash sync mode. same time the above ready-lights blink. • Pressing the a and g buttons simultaneously recalls this display. Speedlight compatible with TTL auto flash to the COOLPIX. controlled by the camera’s Non-TTL auto flash operation. having a TTL multiple flash terminal but no hot-shoe contacts. • For details, see your camera’s instruction manual. SB-800 as a remote flash unit cannot be performed. modes available with the SB-800. is recommended for normal flash photography. lens, and the flash mode is set to Auto Aperture flash. the main flash, but H appears on the LCD panel (using a single flash unit). when H appears on the LCD panel. adjusted for a well-balanced exposure of the main subject and background. • Do indicates “i-TTL Automatic Balanced Fill-Flash” in the i-TTL mode. controls the flash output level to give the correct exposure. SLRs” in the D-TTL mode, and “Standard TTL flash” in the TTL (film-based) mode. calculating this distance, according to each zoom-head position. compatible with CLS, and cameras in Groups I and II when used with a CPU lens. Auto (P) or Aperture-Priority Auto (A). Lock the CPU lens aperture at its minimum. • Not necessary with a G-type lens. an aperture of f/2 to f/5.6 from the table gives the correct exposure. varying the aperture set on the camera or lens. • No limitation on usable cameras. use Custom settings (p. 67). Set the camera’s exposure mode to AperturePriority Auto (A) or Manual (M). LCD panel on the lens or camera. Set the aperture within the available range as shown in the table below. from the table will give the correct exposure. “The flash shooting distance range with zoom lenses having a variable aperture” (p. 57). The SB-800 features three manual modes. the shooting distance. Then set the same aperture manually on the lens. cameras in use. For details, refer to your camera’s instruction manual. been insufficient for correct exposure after shooting. the flash. The larger the number, the greater the flash output. • Set the same aperture on both the SB-800 and the camera or lens. the distance value and aperture set. increase or decrease the distance values. 65.6 ft.) and varies depending on the ISO sensitivity. Confirm that the ready-light is on, then shoot. • With cameras in Groups III to VII. distance value is not found in the table, use a shorter distance. available flash shooting distance range cannot be displayed on the LCD panel. In Manual flash photography, you select the aperture and flash output level. output) to M1/128 to match your creative preferences. match the flash shooting distance. flash output level in the Manual mode” (p. 42). increase or decrease the values. • Refer to “Setting the flash output level” (p. 47). flash output level and aperture as set. that is set on the SB-800. level changes every time you press the e or f button as shown below. • To extend the flash shooting distance, choose a flash output level close to M1/1. useful when shooting fast-moving subjects. • In this operation, q appears on the LCD panel. recycle between each repeating flash session. • Frequency (Hz) represents the number of times the flash fires per second. the Speedlight fires during a single exposure. repeating flashes separately for each picture. * Frequency (Hz) represents the number of flashes per second. Set the camera’s exposure mode to Manual (M). Press the a button to display q.
the Manual mode” (p. 42). the flash output level and aperture as set. This file has been shared by a user of PDF Archive. Document ID: 00101845.